Included in World Literature Today's "75 Notable Translations of 2017"
"The story's unflinching tone and sly humor belie the tragedy of Moses's situation, as well as the cruelty of the people he meets." "An orphan story with biting humor. . . as pointed as it is funny." " Black Moses] rings with a beautiful poetry." A rollicking new novel described as "Oliver Twist in 1970s Africa" (Les Inrockuptibles) by the finalist for the Man Booker International Prize. It's not easy being Tokumisa Nzambe po Mose yamoyindo abotami namboka ya Bakoko. There's that long name of his for a start, which means, "Let us thank God, the black Moses is born on the lands of the ancestors." Most people just call him Moses. Then there's the orphanage where he lives, run by a malicious political stooge, Dieudonn Ngoulmoumako, and where he's terrorized by two fellow orphans--the twins Songi-Songi and Tala-Tala. But after Moses exacts revenge on the twins by lacing their food with hot pepper, the twins take Moses under their wing, escape the orphanage, and move to the bustling port town of Pointe-Noire, where they form a gang that survives on petty theft. What follows is a funny, moving, larger-than-life tale that chronicles Moses's ultimately tragic journey through the Pointe-Noire underworld and the politically repressive world of Congo-Brazzaville in the 1970s and 80s. Mabanckou's vivid portrayal of Moses's mental collapse echoes the work of Hugo, Dickens, and Brian DePalma's Scarface, confirming Mabanckou's status as one of our great storytellers. 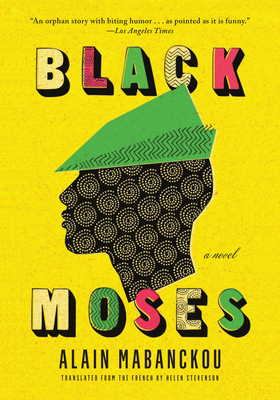 Black Moses is a vital new extension of his cycle of Pointe-Noire novels that stand out as one of the grandest, funniest, fictional projects of our time.